Chicken Masala from some touristy place in Miami Beach, FL. 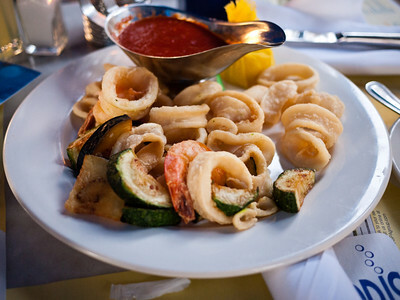 Calamari appetizer from Spris in Miami Beach, FL. It was not on their normal menu. 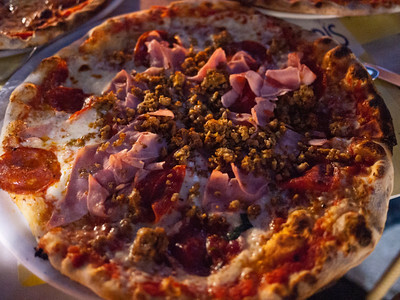 Tutta Carne pizza from Spris in Miami Beach, FL. Tomato sauce, mozzarella, ground Italian sausage, ham and spicy salami. 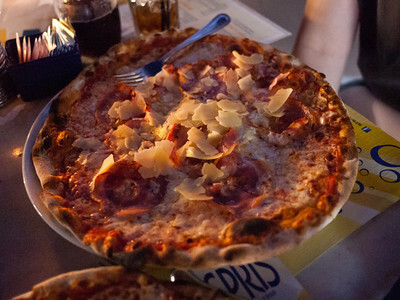 Carbonara pizza from Spris in Miami Beach, FL. Tomato sauce, mozzarella, Pancetta, sunny side up eggs, Parmesan and black pepper. 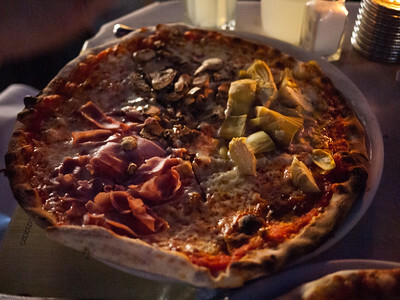 Quattro Stagioni pizza from Spris in Miami Beach, FL. Tomato sauce, mozzarella, four sections with mozzarella, mushroom, artichoke and ham. 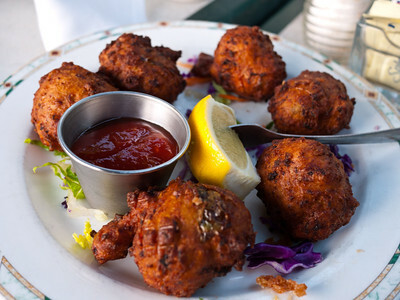 Conch Fritters from Fish House Encore in Key Largo, FL. Matecumbe from from Fish House Encore in Key Largo, FL. "Topped with fresh tomatoes, shallots, basil, capers, olive oil and lemon juice, then baked. 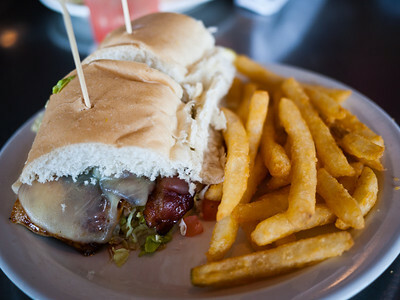 The Fish House's original creation, often copied, but never duplicated! 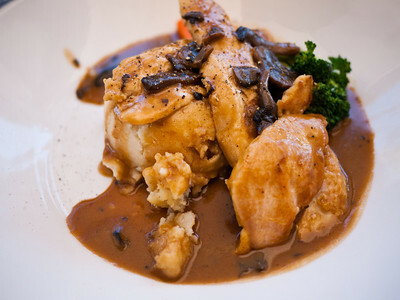 Featured on The Food Network Food Nation with Bobby Flay and in Cooking Light Magazine." 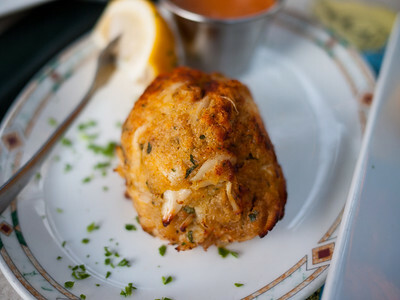 Crabcake from Fish House Encore in Key Largo, FL. "Our own recipe made with lump crabmeat, fried and served with cocktail sauce." Cracked Conch from Conch Republic Seafood in Key West, FL. 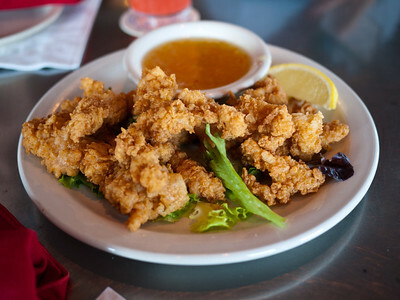 "Tempura Battered Queen Conch Lightly Flash Fried, Served with Orange Horseradish Marmalade." 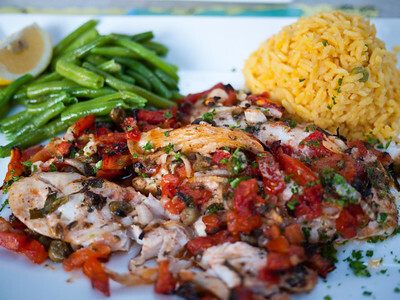 Lunch special from Conch Republic Seafood in Key West, FL. 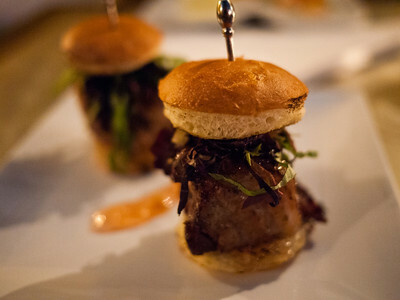 5 Day Jerk Cured Kurobuta Pork Belly Sliders from Fin in Key West, FL. Brioche buns with sour apple cilantro, marmalade. 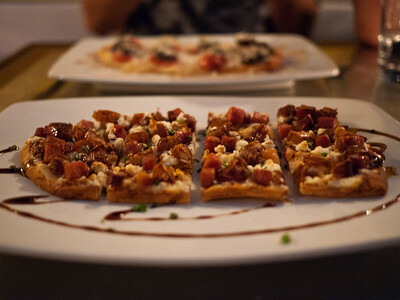 Stone Baked Spanish Flatbreads from Fin in Key West, FL. Medjool date, goat cheese, Serrano ham and sherry syrup. 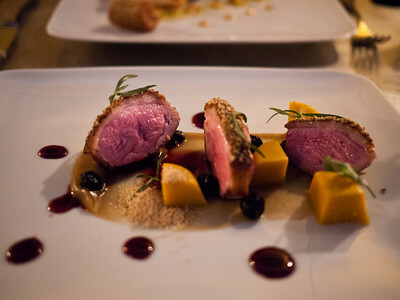 Pumpkin Seed and Lavender Crusted Maple Leaf Duck Breast from Fin in Key West, FL. Seckle pear, butternut squash flan, smoked blueberries and port wine. 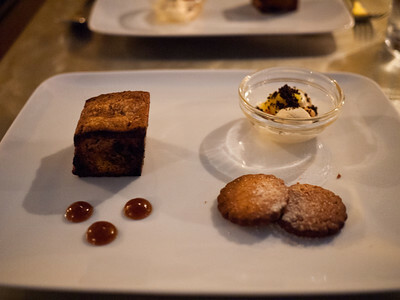 Dessert from Fin in Key West, FL. 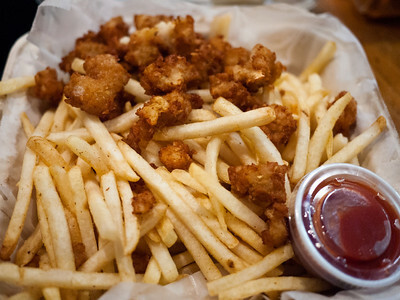 Cracked Conch Bites fom DJ's Clam Shack in Key West, FL. 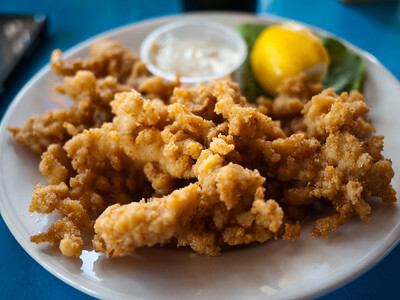 Conch Fingers from the Cracked Conch Cafe in Marathon, FL.